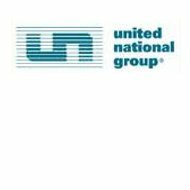 A review of the United National Specialty Health Insurance Company leads to the United National Specialty Insurance Company (aka United National Group or UNG). The company was founded in 1960 and is a member of Global Indemnity plc. UNG has assets of $77,869,902, with a net surplus of $54,973,340 and a capital of $4,200,000. For options that include health insurance, you can type in your zip code and compare different health insurance quotes. UNG offers three types of business insurance focusing on the following: general liability, professional liability, and property. While not a health insurance company, they are a subsidiary of Global Indemnity plc and focus on specialty products. UNG holds in all 50 states and the District of Columbia admitted licenses and surplus lines qualifications. On October 15, 2004, UNG combined their company with Penn-America Group, Inc. and Penn Independent Corporation, and became a specialty property and casualty insurance company and later combined with Global Indemnity plc. On July 2, 2010, Global Indemnity plc consolidated UNG and Penn-America Group under a common structure of management. The benefits of this were to bring expertise to both groups specialty program administrators. As for UNG’s credit rating, A.M. Best gave them an “a” rating, which means “Strong” and an outlook of “Stable.” These ratings are recent with an effective date of November 4, 2010. Financial Observation. While a financial stability rating was not assigned, the observation did show that UNG has a very high and above average financial outlook compared with other companies. To take a closer look at these health insurance rates for the above companies or others, enter your zip code.